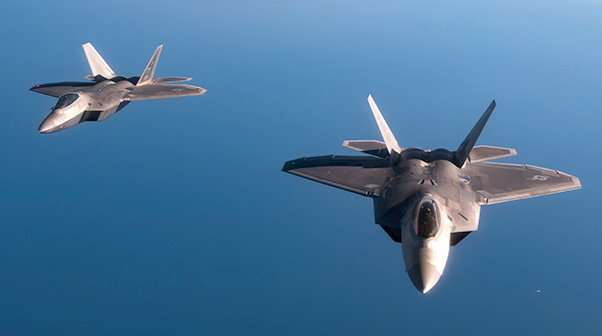 U.S. Air Force F-22 Raptors from the 95th Fighter Squadron, 325th Fighter Wing, Tyndall Air Force Base, Fla., fly in formation after an air refueling over the Mediterranean Sea. 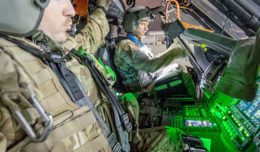 After refueling, the F-22s trained with Spanish aircraft and landed at Los Llanos Air Base in Albacete, Spain where a pilot briefed the Raptor’s capabilities to military and civilian personnel from NATO allied nations. U.S. Air Force F-22 Raptors from the 95th Fighter Squadron, 325th Fighter Wing, Tyndall Air Force Base, Fla., refueled and trained with Spanish Eurofighter Typhoons during an F-22 forward deployment to Albacete, Spain, Aug. 16, 2018. The squadron of F-22s, along with Airmen and associated equipment, are part of a Flying Training Deployment forward deploying from Spangdahlem Air Base, Germany, to operating locations within NATO member nations to maximize training opportunities, strengthen alliances and deter regional aggression. The training involved F-22s receiving in-air refueling from a U.S. Air Force KC-135 Stratotanker assigned to the 100th Air Refueling Wing, RAF Mildenhall, England. 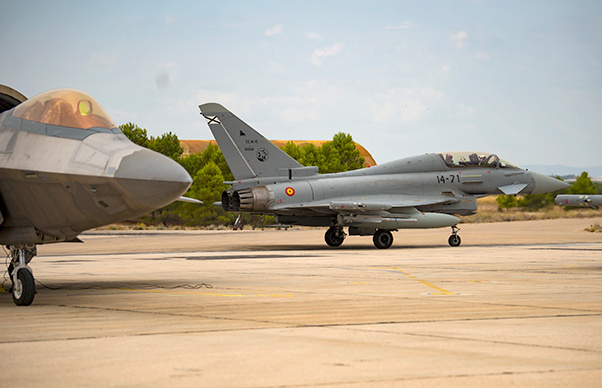 After refueling and entering Albacete airspace, the F-22s trained with Spanish Eurofighter Typhoon aircraft by practicing various dogfighting scenarios and maneuvers. Spanish air force Col. Juan Manuel Pablos, base commander at Los Llanos Air Base in Albacete, Spain, speaks to media about U.S. Air Force F-22 Raptor training with Spanish aircraft and the partnership between the two countries during an F-22 forward deployment to Albacete, Spain. 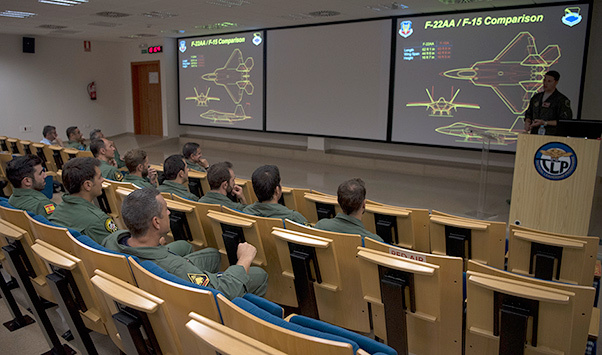 Following the event, the U.S. Air Force held a brief on F-22 capabilities at the Tactical Leadership Programme, a multinational unit composed of military and civilian personnel from 10 NATO nations based at Los Llanos Air Base. A Spanish Eurofighter Typhoon taxis behind a U.S. Air Force F-22 from the 95th Fighter Squadron, 325th Fighter Wing, Tyndall Air Force Base, Fla., after Spanish aircraft trained with the F-22 at Los Llanos Air Base, Albacete Spain. The U.S. works closely with Spain on a range of global challenges, including promoting international peace, security and economic prosperity. 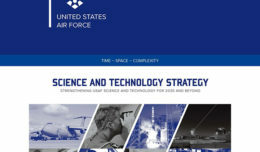 “In the briefing, we went over what the Raptor can do, why we have the Raptor, and what support it can provide to our NATO partners in the fight,” said U.S. Air Force Maj. Michael Frye, an F-22 pilotand 95th Fighter Squadron weapons officer. The U.S. has a longstanding relationship with Spain, working closely together on a range of global challenges,that include promoting international peace, security and economic prosperity. 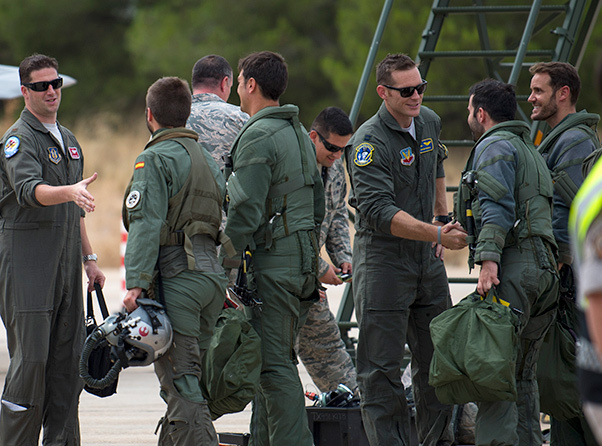 U.S. Air Force F-22 Raptor pilots from the 95th Fighter Squadron, 325th Fighter Wing, Tyndall Air Force Base, Fla., meet Spanish Eurofighter Typhoon pilots after in-air training at Los Llanos Air Base, Albacete Spain. The squadron of F-22s, along with Airmen and associated equipment, are part of a Flying Training Deployment forward deploying from Spangdahlem Air Base, Germany, to operating locations within NATO member nations to maximize training opportunities, strengthen alliances and deter regional aggression. 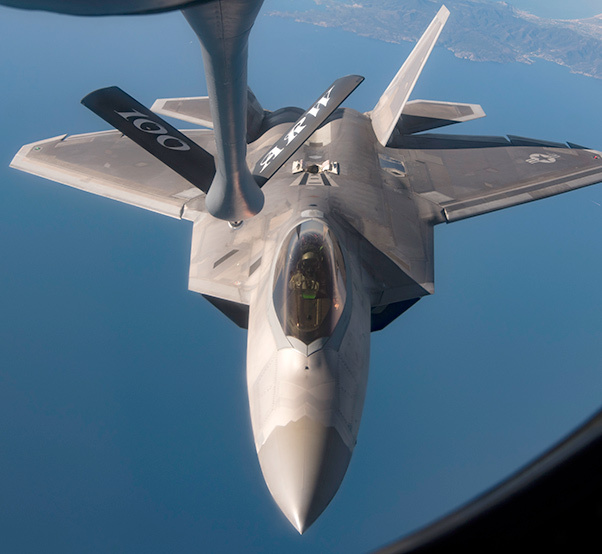 A U.S. Air Force F-22 Raptor from the 95th Fighter Squadron, 325th Fighter Wing, Tyndall Air Force Base, Fla., receives fuel from a U.S. Air Force Boeing KC-135 Stratotanker assigned to the 100th Air Refueling Wing, Royal Air Force Mildenhall, England, while flying above the Mediterranean Sea. F-22s forward deployed to Los Llanos Air Base in Albacete, Spain as part of the European Deterrence Initiative to train with the Spanish military and demonstrate U.S. commitment to regional security and stability. 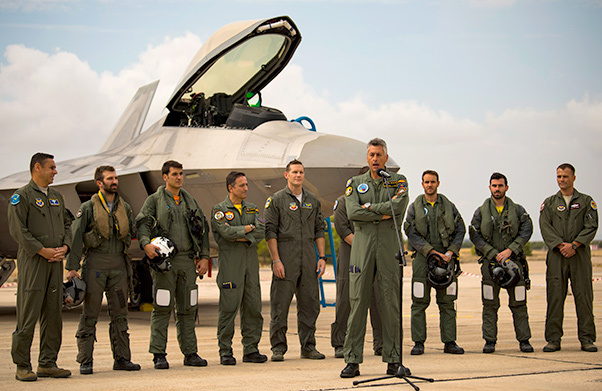 Spanish air force pilots and other NATO members listen to a brief on U.S. Air Force F-22 Raptor capabilities after F-22s from the 95th Fighter Squadron, 325th Fighter Wing, Tyndall Air Force Base, Fla., forward deployed to Los Llanos Air Base, Albacete Spain. The F-22 combines stealth, maneuverability, supersonic cruise and integrated avionics for 360 degrees of self-protection and long-range situational awareness.